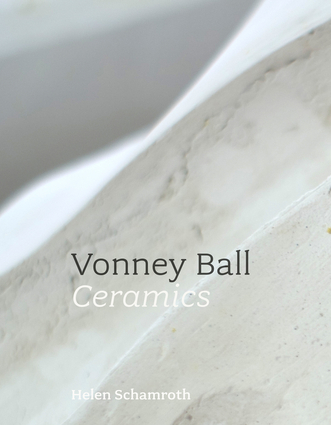 Ceramic artist Vonney Ball’s elegant output reflects a sound education in English ceramics design, a singularity of purpose and a drive to keep making work. Twenty years on from her arrival in New Zealand, her work connects cultural experiences from opposite ends of the earth. Vonney Ball: Ceramics surveys her work and examines her influences, from Bloomsbury to Maori art and design. Helen Schamroth ONZM has been writing about craft, design and art for more than four decades. Her writing has featured in national and international publications. Her book 100 New Zealand Craft Artists (Godwit) won two Montana Book Awards in 1999 and she was a contributing writer to the books West (Random House) and Waitakere Ranges: Ranges of Inspiration (Waitakere Ranges Protection Society. She is a practising artist working in textiles, an arts consultant, a curator and an arts advocate, and she has served on the Arts Board of Creative New Zealand.